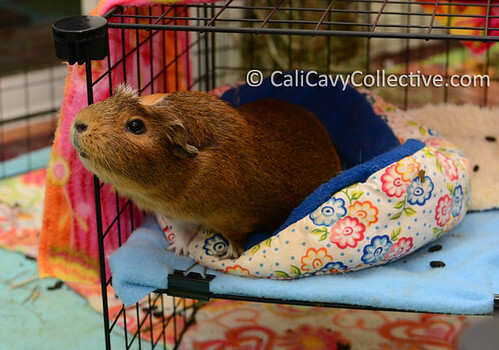 Story: Truffle was adopted along with her piggy sister Belka. A few days after her adoption she showed us her signature move of dragging lunch into her pigloo. Needless to say, this strategy makes it much more difficult for her cagemates to steal her portion - although it certainly doesn't stop them from trying. During floor time, Truffle has been known to run at sharp angles in random directions.. perhaps because she is trying to compute complex mathematical food equations in her head. Thanks! I did think that she looked slightly like an american shorthair, but I wasn't so sure. Glad you enjoy the blog Tiffany! 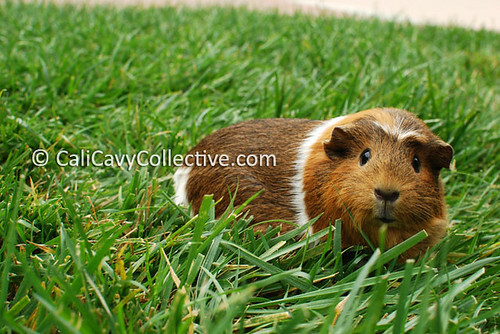 Cocoa is a cutie, I love the white spark she has running down her forehead. Based on her markings, she looks like a short-haired mix.